Sandy is a graduate of West Greene High School and University of Tennessee, Knoxville. She is the former Sandy Meredith and is married to Kenneth N. Bailey, Jr. They have two daughters and one son. She attends Trinity United Methodist Church. Jason is a 1993 graduate of West Greene High School and a 1995 graduate of Gupton-Jones College of Funeral Service in Atlanta, Georgia. He is married to the former Michelle Noland. They attend Liberty Freewill Baptist Church. Jason has 27 years of experience in funeral service. He has been manager of Doughty-Stevens since September 2008. Chris is a 1999 graduate of West Greene High School. He attended East Tennessee State University and in 2002 graduated from Gupton-Jones College of Funeral Service in Atlanta, Georgia. Chris has 20 years of experience. He is a member of Brown Springs Baptist Church and Big Springs Baptist Church. He is married to Allie Southerland Long and they have two daughters. Mike is a 2001 graduate of South Greene High School and graduated from John A. Gupton Mortuary College, Nashville, TN, in 2012. He and his wife, Emily, have one son and one daughter. Mike and his family attend New Victory Baptist Church in Telford. Mike has been with Doughty-Stevens since August 2016. Donnie graduated from South Greene High School in 1980. He is married to Jayne Ann Davis. Donnie has 39 years of experience in funeral service. 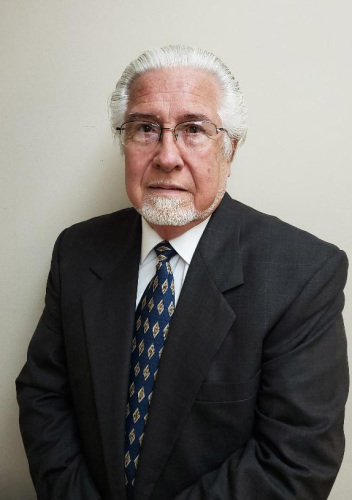 Dr. F. Byron Chambers, has been active in preneed funeral services for 17 years. He is married to Becky, he has 2 children, and 5 grandchildren. Dr. Chambers also pastors Blount Baptist Church in Knoxville. He also serves on the board of directors for Friends of Hospice.